Want to see all the technologies used by colourlovers.com? 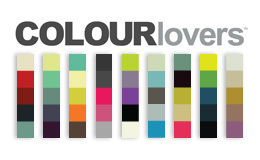 COLOURlovers is an international creative community that helps people discover their inner designer. We provide people with a wealth of user created & shared color inspiration as well as tools that make the creative process as simple as possible. Whether you’re simply looking for a color palette to kickstart your next project or want to produce a piece of vector art, we have the tools and services to help anybody from go from design inspiration to execution. For a quick look at additional technographic info on colourlovers.com or any domain on the web, download our Chrome Extension. Check out our help article to see how Datanyze Insider can help you.